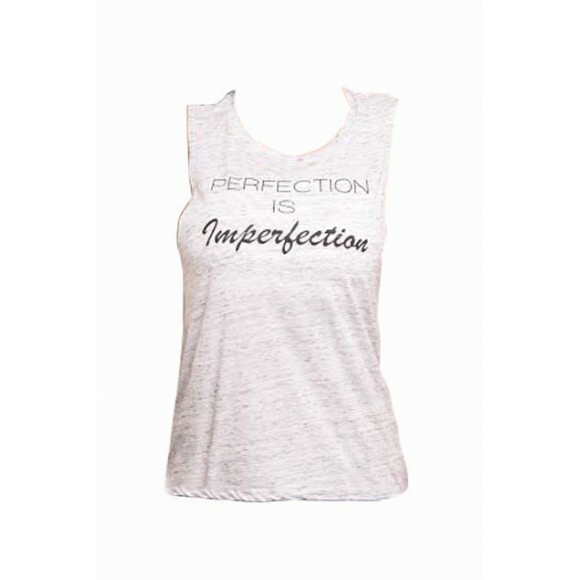 There's perfection in all that is imperfect. 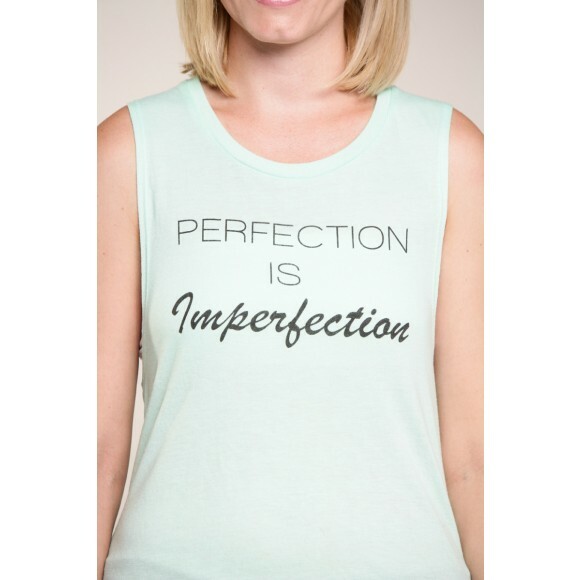 Truth printed on a feminine version of the muscle tank. A must-have style designed with modern elongated armholes and curved bottom hem in an exceptionally soft fabric that softly drapes around curves. - Relaxed, drapey fit. Low cut armhole. Curved bottom hem.